Mon Apr 21 2014 Roots Americana Blues Swing Jazz World All the good stuff ! We live in very intense and stressful times, when everything in our lives seems to be changing. There are some things that seem to last the test of time and go improving on their original format over many decades. Butlins certainly fits into this category. The brain child of Billy Butlin, the first holiday camp in Skegness was actually designed by Billy on the back of cigarette packets! Billy believed that people had the right to have a holiday and rest once a year without worrying about how much it cost. 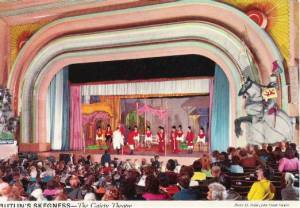 So, on a very wet & windy week Easter Saturday in 1936, the first camp was opened in Skegness. A week’s holiday for three meals a day and the entertainment cost thirty-five shilling that in post-decimalization currency is £1.75! The first person to stay at the camp was one Mrs Freda Monk from Nottingham. Freda arrived a day early by mistake but was welcomed and taken to her room for the extra night. The residents of Nottingham and, from all over the country having been attending there ever since for their annual holidays! 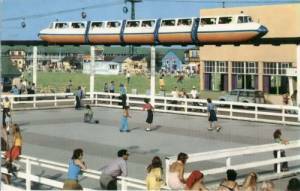 In fact, Skegness Butlins is often referred to as Nottingham-By-Sea, so popular has it become with Nottingham residents. Butlins from its onset had another different and important innovation, one that has become a legend in its own lifetime, The Redcoats! Billy soon realised that when people went on holiday they were often too shy to make friends with others and that they also needed information, advice, entertainment and sport laid on for them. So, in the first week, he chose nine of his staff and dressed them in red blazers. His inspiration for this was from his memories of the Canadian Mounties, who had formed part of his formative years. The Redcoats were born and their position in the structure of Butlins is as important today as was in those early pioneer days of holiday-making. Entertainment has always been a feature of Butlins holidays and music has played a large part in that. Many famous names of today from the 60s onwards started their careers working at Butlins and over the years, the camps have seen many of the best known names in music walk the boards there. UK Blues fans have special place in their hearts for Butlins Skegness. The annual January, Great Rock and Blues festival marks the opening of the UK Blues year for many; bringing them together for a feast of musicians, national and international. This year is no exception. The 2011, Great British Rock And Blues Festival takes place on 28-30th January 2011 at Skegness. Once again three stages will operate. The Blues Stage will feature for the first time this year King King, this band has rocketed to success since its inception a couple of years ago and features the top class guitar playing by Alan Nimmo, of the Nimmo Brothers fame. They have just released a new CD called, “Take My Hand” and I’m sure punters there will be getting a good taster of this much awaited album. Sandi Thom also makes her first appearance at Butlins. One of fastest movers of the new female Blues singers on the circuit, Sandi’s sensational vocal, guitar work and harmonica skills, see her amongst the leaders of a new generation of female musicians for the future. There is also a wide display of classic favourites including Connie Lush, Dr Feelgood, The Hamsters, and Nine Below Zero. They are joined by the Pretty Things, who have now clocked forty years out-on-the-road and are about to release a new studio album this year. From Wales via the Australian outback, Gwyn Aston and his Two Man Army take the main stage for the first time after their sensational performance in Jak’s last year. Gary Fletcher, who is usually associated with The Blues Band, brings his own band to this years festival. Climax Blues Band joins the throng, along with Norman Beaker Band and Herbie Goins, Paul Lamb And the Kingsnakes and many more acts. There is more Blues to be found in Jak’s Bar, which hosts the annual Blues Matters Stage where there is another great line–up, featuring, Green Mac, Idle Hands, Dale Storr, Clare Free Band, Larry Miller, Elephant Shelf, Babajack and The Delta Ladies. Saturday afternoon will of course showcase the popular Roadhouse Jam session. So, be sure to get your name on the list if you want to join in the fun. For those who like their rock as well as Blues, Uriah Heep is the headline act on The Rock Stage. Other acts over the weekend include Monsters of Rock, Girlschool, Juicy Lucy, Street Legal and The Quireboys. For Eastenders fans, they will be able to get a look at one of its past regulars, as John Altman, who played the character ‘Nick Cotton’ has become a member of Heavy Metal Kids. So, Happy Birthday Butlins, 75 years and still rockin!! !